Book-smitten. A word I coined with my kids when we fall in love with a book. For me, that book must contribute to our bookshelf – in story, diversity, and beauty. 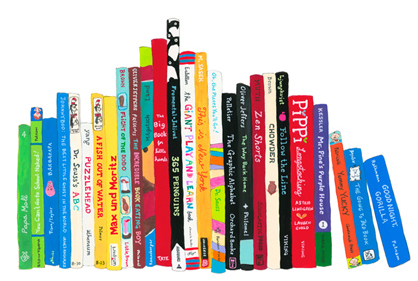 The power of diversifying your bookshelf is found both in your children seeing themselves on the written page and also seeing someone different than himself or herself. Here are three choices I am book-smitten over this month. 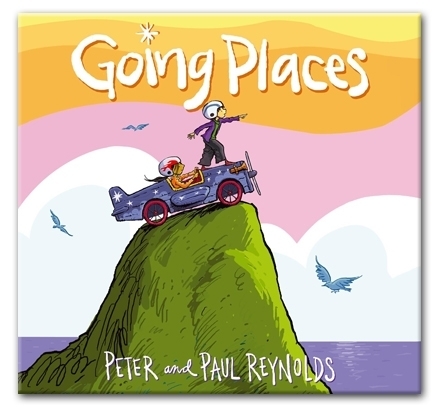 Going Places by Peter and Paul Reynolds is a read that will encourage your kids to think outside the box. Featuring a diverse group of characters and non-white protagonists (hurray!) these kids grapple with a school assignment and ultimately use their creative and engineering capabilities to not only complete the assignment winningly but affirm that challenging the rules is often the best way to go. You will love the story and your kids will retire to the garage to build something – it’s a win for everyone. Kudos to this team. At The Same Moment, Around The World by Clotilde Perrin is a gorgeous work of art that will inform your family about the world while uniting us with it. Featuring countries like Senegal, Iraq, Vietnam, Samoa, and Peru it will stretch your child’s imagination and cause them to think about all the people of the world thereby enlarging their global perspective. Engage your little one with discussions about time zones, cultures, and the global village in which they live. Alas, I am going to include a tween pick because diversifying your bookshelf also includes the many amazing young adult novels available for for tween and teen. The Mighty Miss Malone is one of these treasures. 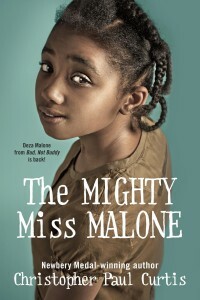 Set in the Great Depression, this book details one family’s trials during that difficult time period from the perspective of twelve-year-old Deza Malone. A book I originally bought for my tween because it affirms being the ‘smartest girl in the class’, it is now our read aloud book as a family. It is so, so good. The author Christopher Paul Curtis (winner of the Newbery Medal and the Coretta Scott King Award) is a gifted and descriptive storyteller. Happy reading everyone! If you have found a book recently to diversify your bookshelf and are smitten, leave a comment and share with the Blended community. And in full disclosure, this page contains affiliate links.